California voters in 2020 will have a chance to revise a decades-old tax measure, which if passed would reassess the value of commercial properties every three years. That could raise up to $12 billion in its first few years for counties around the state. While the change to the 1970s-era tax measure, Proposition 13, would be a radical shift, tax assessors say it could be extremely difficult to implement in a reasonable time-frame, according to the Los Angeles Times. Still the potential impact is big, experts say. 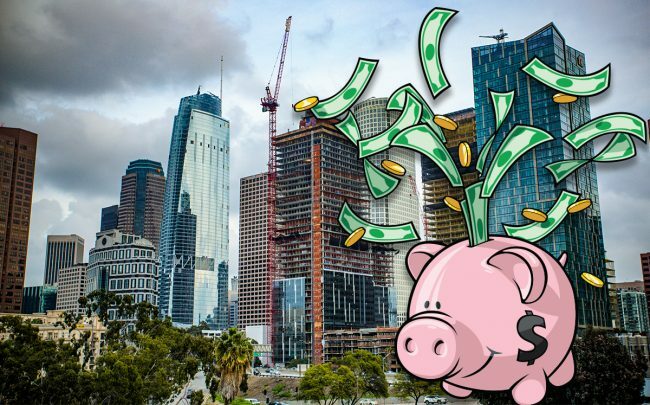 Los Angeles County alone could see an additional $3.8 billion a year in commercial property tax collection, according to the Times. Proposition 13 made it so commercial and residential properties are only assessed for taxes when they change hands. That has allowed property owners who have not sold for decades to pay low, 1970s-level taxes. The ballot measure proposes creating a split roll tax scheme. Residential taxes would remain under the same rules, but commercial buildings would be reassessed on the three-year schedule. L.A. County Assessor Jeffrey Prang maintains the work needed to change the tax scheme can’t be done in the three-year transition period implied in the ballot measure. “It’s physically not possible,” Prang told the Times.